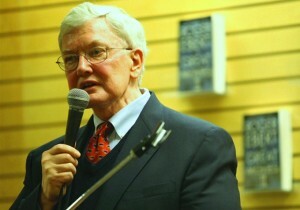 In early 2006, I attended a book signing of his “Great Movies II” tome, a collection of essays on cinematic landmarks. Ebert asked me following his intro to discuss a film I’d seen recently (we’d known each other for about three minutes). Before his audience of 100-plus people, he asked me to review my choice “The Three Burials of Melquiades Estrada” for them, and then I also blurbed about “Downfall.” My choices were out of the mainstream radar, and for that reason I felt I had impressed him. After the signing, we talked for 10 minutes. I told him “Walkabout” (1971) and “Aguirre Wrath of God” (1972) were the film reviews by him that changed my life. Two months later, it felt, he began his bout with cancer. But I want to go back to the beginning where it all began. As a little kid, I liked “Superman” and Bond movies. Indiana Jones movies. Stuff that Ebert loved, too, by the way. 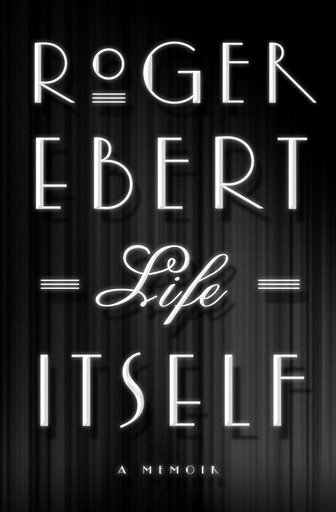 But what’s crucial is that I got my life education from Ebert. Of course, I had watched “Siskel & Ebert” which had been in national syndication starting in 1986. In retrospect, it was the year 1989 that I really got into movies. That year, their review of “Born on the 4th of July” is the one that memorably propelled me into the theater. And “Do the Right Thing” became the must-see when it hit home video. I would later recognize that Ebert was a champion of Spike Lee and Black Cinema. “Boyz N the Hood” (1991), “Malcolm X” (1992), “Menace II Society” (1993), “Fresh” (1994), “Eve’s Bayou” (1997) are among Black Cinema classics that became enduring titles because of Ebert. It’s sorrowful to think these films wouldn’t be “represented” at all if Ebert wasn’t around to tout them. I was still young enough at a time where I wondered why Martin Scorsese was such a big deal. I heard the buzz on “GoodFellas” a month before it came out in the Fall of 1990. Ebert somehow got me to rent “Taxi Driver” and “Raging Bull,” and then Scorsese suddenly became a big deal. But something about Ebert expounding the themes of a man’s “sexual inadequacy” of the Jake LaMotta character in “Bull” had seized me. I hadn’t grasped such abstract issues in films before. 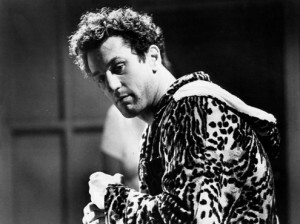 I might have only looked at “Bull” as a boxing film, an Italian-America snapshot, and an angry man movie until Ebert compelled me to look deeper into what drove LaMotta towards self-destructive impulses. Sometime in the early 1990’s on the “Siskel & Ebert” program, Ebert spent three minutes with his Home Video recommendation segment to discuss an obscure black & white Japanese film called “Woman in the Dunes.” I said to myself, “I gotta see that!” although in truth it took several years, maybe seven years or so, until I got around to it (a brilliant film, I would ultimately discover). Only in hindsight did I realize how odd it was, as well as a signature of his power, that Ebert would insist his syndicated program would devote a few minutes to a 1964 curio that hardly anybody in this country had ever seen, no less heard about. Even in the 1990’s, for a major network to allow forum on anything but mainstream American fare, stuff with movie stars and that was in color, was a longshot by any standard. Ebert got away with it conduit of his human approach, because he illuminated ways for newbies to relate to obscure cinematic art. 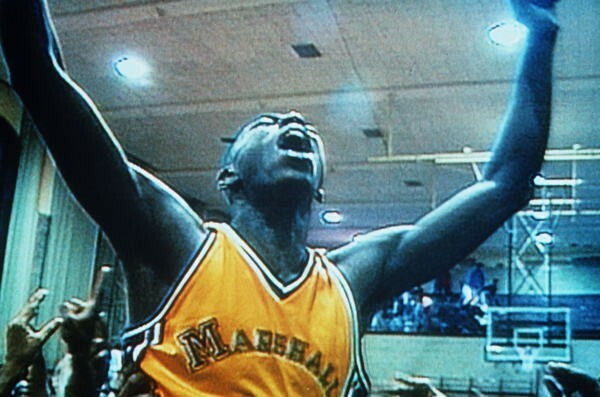 In 1994, Ebert (even more than Siskel) convinced me to go see a three-hour basketball documentary called “Hoop Dreams.” To this day, it’s not an essential favorite of mine – I can name a half dozen better films that year, at least – but what matters is that, even not being as exhilarating as Ebert found it, “Hoop Dreams” is an exceptional moment in my awareness of Chicago, the black experience, the reality of pursuing a sports career, and sympathizing with working class lives shredded by community violence. Subjects that would have eluded me otherwise. Seeing Ebert’s film once was enough, but the fact I came out with refined knowledge is what counts. “Leaving Las Vegas,” “Crumb,” “Fargo,” “Breaking the Waves,” “Bound,” “The Ice Storm,” “What Dreams May Come,” “Babe: Pig in the City” and “Dark City” would become breakthrough films I saw during the next few years that I might not have seen had Ebert not compelled me to go. The “Great Movies” series began in 1996, but I might not have discovered it until 1999 thanks to the assist of the internet. 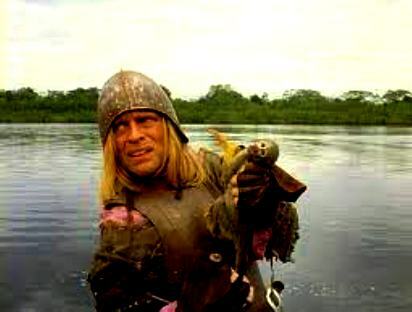 The moment Ebert turned me onto “Aguirre, the Wrath of God” (1972) my taste in film reached a new peak that sums up what I crave from movies today. Werner Herzog had yet to be seriously on my radar, I knew his name off-hand but far from comprehensively. When Ebert wrote about his film as a Great Movies piece in 1999, I knew immediately it wasn’t enough to rent “Aguirre,” I had to buy a copy. To this day, it’s one of the few movies I have to re-watch at least once a year. The more you delve into Herzog’s 16th century Amazon epic, the more you realize it is perhaps the most ambitious, impossible accomplishment in modern cinema. Ebert had the propensity to not only get you to understand the Herzog vision, but how to redefine your vision of cinema entirely. Another way to look at it is that Ebert had already made me appreciate ordinary movies to their max levels, but he redirected me in how to look for extraordinary movies. I was introduced to many essential films in the “Great Movies” canon by Ebert in those pivotal years of college and post-college education: “Ikiru” (1952) “The 400 Blows” (1959), “Bonnie & Clyde” (1967), “Five Easy Pieces” (1970), “McCabe & Mrs. Miller” (1971). My favorite film that I discovered in the early 2000’s though became an obscure Korean import that had not been reviewed by Ebert – I found it on my own. “Spring Summer Fall Winter… and Spring” (2003) by Kim Ki-Duk is not a film that has been heard about exponentially in America, but I was relieved when Ebert wrote about it in 2009. I confess, his printed essay became a validation of my taste. And it was an exciting pronouncement of this Korean film itself, because it opened the chance of popular discussion now on a film – that I regard as cinema’s finest – that would have fallen into a too rare obscurity. I agreed in manifest with Ebert’s thumbs-up/thumbs-down choices, perhaps 95% of the time. Yet even when I disagreed vehemently with Ebert’s choices, I still attained value. “Crash” (2005) is the archetype case where I hated it – for being loudly melodramatic, for breeding stereotypes that further inflame the race relations problem. 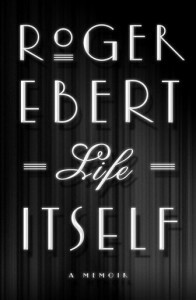 Yet Ebert founded a positive discussion and grace that he felt “Crash” demonstrated, one that was open-face idealistic. I disagreed and still don’t like the film, but I learned something about the opposite perspective. 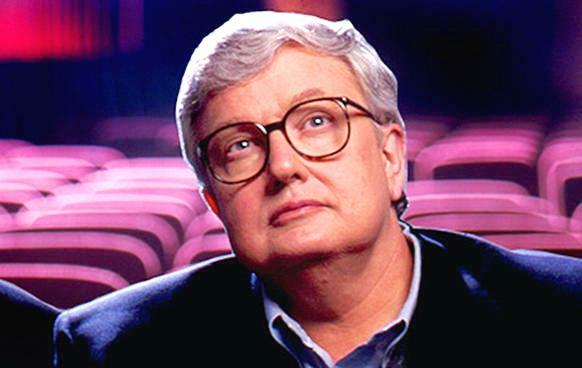 A bad film wasn’t a complete waste of time, as long as Ebert taught me something about it. It also became an indicator of how widespread an influence Ebert became. I believe “Million Dollar Baby,” “Crash,” “Juno,” “The Hurt Locker,” and “Argo” became Oscar winners because year after year the industry sought out Ebert’s endorsements. In 1967, Ebert started as a film critic (the “Bonnie & Clyde” review is what bolstered him into critic stardom). He wrote the screenplay for the cult film “Beyond the Valley of the Dolls” in 1970. He became an author of various books on film criticism and myriad subjects, and his tweets on social issues brought him a new audience. His blogging on the horrors of failed gun control and Chicago violence, on the Palestine-Israel conflict, on the Democrat/Republican stalemates, and on internet culture won him new legions of fans. Ebert’s writing excelled in his final five years, they embodied everything. More provocative, more acute to human experience, more empathetic than ever. He understood not just movies but human feelings, the world and the issues that characterize us. A movie review by him in the last year in particular had unparalleled wisdom – it wasn’t just a movie review, it was life itself. It’s hard to find one that didn’t.